Recently we at @ttncat had to prepare a crash course on LoRa, LoRaWAN and The Things Network for a professional school in Barcelona. It was a 15 hours course that covered from the very basics to some more advanced topics on RF like link budget, attenuation or impedance matching. It was fun to go back to my years at college and revisit and update some of those topics. And at the same time it was a great opportunity to upgrade my toolbox. 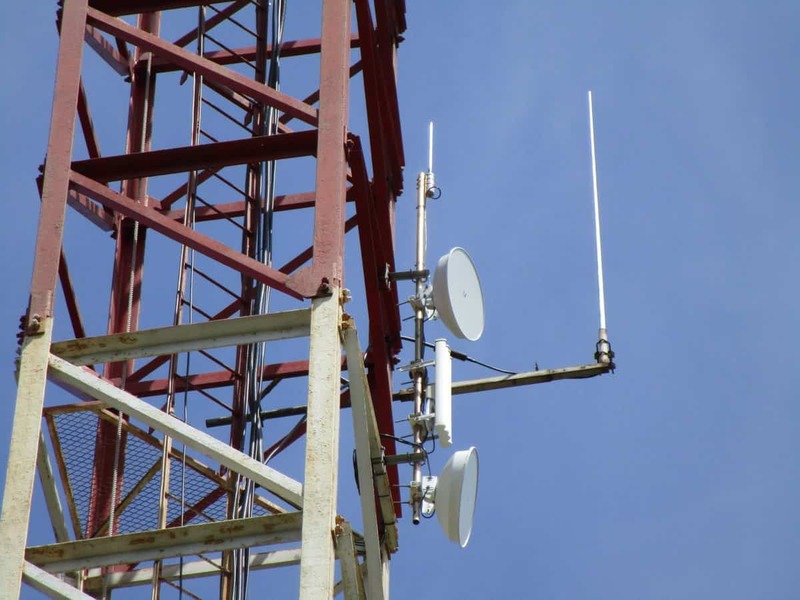 I’d like this to be the first of a series of posts about radio frequency. Talking about tools and devices I already had and some of the new ones I now own. I think they might be of some interest for newbies and makers since -due to my budget- they tend to be low cost devices. At least I hope you will find it interesting to know they exist. I don’t pretend to write these posts in any specific order but I’m just starting with what I feel is one of the most basic concepts, and it’s that a radio device outputs energy. So maybe one of the first questions is “how much energy?“. So RF power monitoring is the first step to analyze how a certain radio sends data by quantitatively measuring how much energy it outputs. You probably know this is called “power” and power is measured in Watts (W). Radio Liberty (a CIA-founded organization meant to broadcast anti-comunist propaganda) had a facility in Pals, Girona, from where they could reach as far as Moscow. 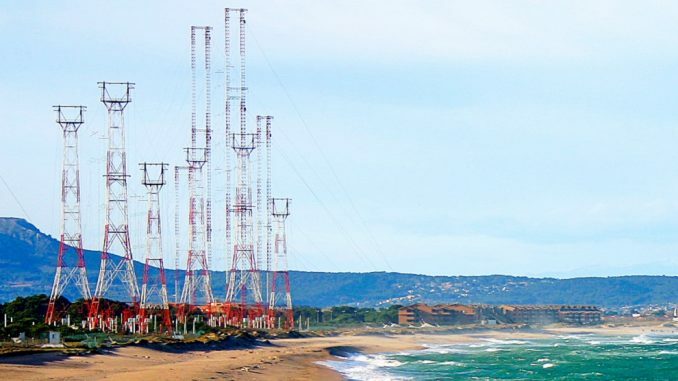 The facility consisted on 6 radio towers with an overall output of 1.5MW (that’s megawatts). 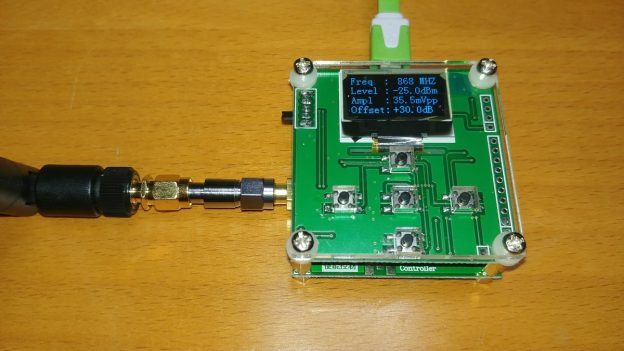 This entry was posted in Analysis and tagged antenna, attenuator, dbm, decibels, energy, etsi, lora, lorawan, m5stack, milliwatts, ootdty, power, power meter, rf explorer, rf power, sma, the things network, toolbox, ttn, wize on April 14, 2019 by Xose Pérez. 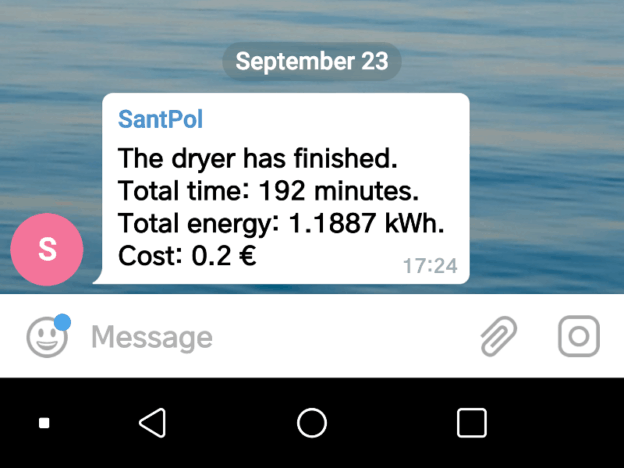 This time I’d like to write a quick post about a small project we’ve been working on at the The Things Network community in Barcelona (@ttncat). We were worried about the monitoring of the gateways we have deployed, both as a community but also as individuals. Some of our partners have also deployed their own gateways and they are part of the community. So how do we get (almost) real-time notifications of incidences in the local TTN network? We want to be able to track them as soon as possible and open the proper ticket in our management system to solve them if the solution is in our hands or notify the entity responsible for the gateway. 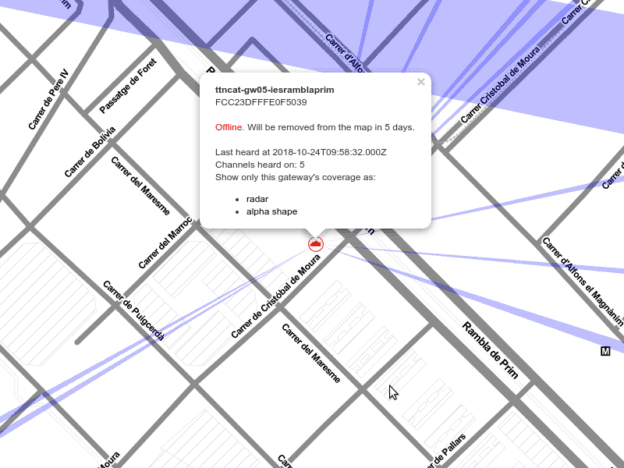 This entry was posted in Projects and tagged bot, geocoding, grafana, grpc, http api, lora, lorawan, node-red, node-red-contrib-power-monitor, open caged data, open street maps, telegram, the things network, ttncat on October 29, 2018 by Xose Pérez. OK, they were actually 5 reasons, but the last one just slipped in. 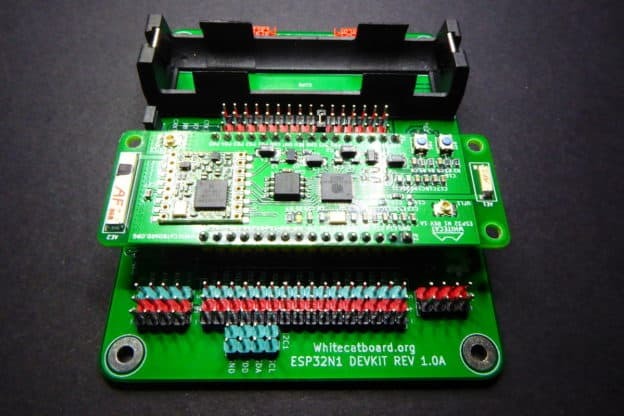 This entry was posted in Analysis and tagged ads1015, blockly, bluetooth, canbus, chrome, citilab, cp2104, cssiberica, esp32, jaume olive, lipo, lora, lorawan, lua, lua-rtos-esp32, microsd, miguel ferrera, n1, rfm95, rtos, sn65hvd231d, the tings network, tp4056, ttn, whitecat, wifi on October 16, 2018 by Xose Pérez. OK, there are different ways to get the info about power consumption. But since we want to be able to process the data ourselves most commercial products won’t be suitable unless we modify it. 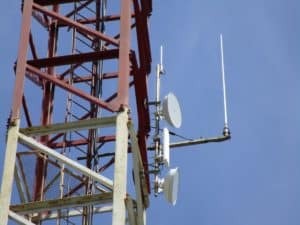 Alternatively, those that use radio communication to send data from the meter to the base station might be suitable for a man-in-the-middle hack. For instance, if you own an Efergy power meter you must know you can sniff the data it sends using a simple RTL-SDR dongle. But for most cases, your best chance is to get your hands on a commercial product with an ESP8266 chip in it and change the firmware to suit your needs. You can write your own or use an existing firmware like ESPurna, that already supports a bunch of power metering smart switches. 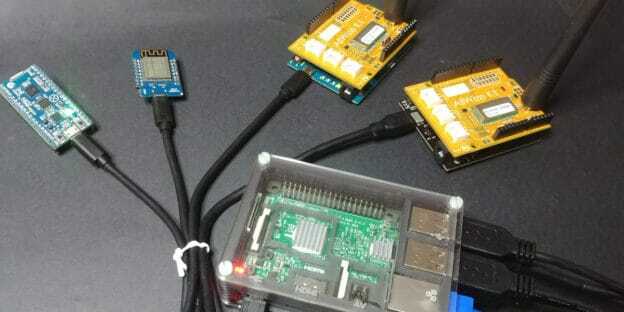 The idea is to report (via MQTT) power data from each individual appliance very minute. You can then use Node-RED along with InfluxDB and Grafana (or Graphite) to receive, persist and graph your data like in the image below. This entry was posted in Code, Projects and tagged bot, botfather, efergy, esp8266, espurna, github, grafana, influxdb, node-red, node-red-contrib-power-monitor, notifications, power, rtl-sdr, telegram, threshold on September 24, 2018 by Xose Pérez.